Star Wars! An iconic cinema series! Even at the ages of 6, 4 and 18 months, my Littles have seen and enjoyed the complete Star Wars Saga. What better way to reintroduce the on screen magic to your Littles than watching it in 3D! That's right, this month, February 10th, Star Wars: Episode I The Phantom Menace returns to theaters in 3D. Check out The Phantom Menace Trailer! 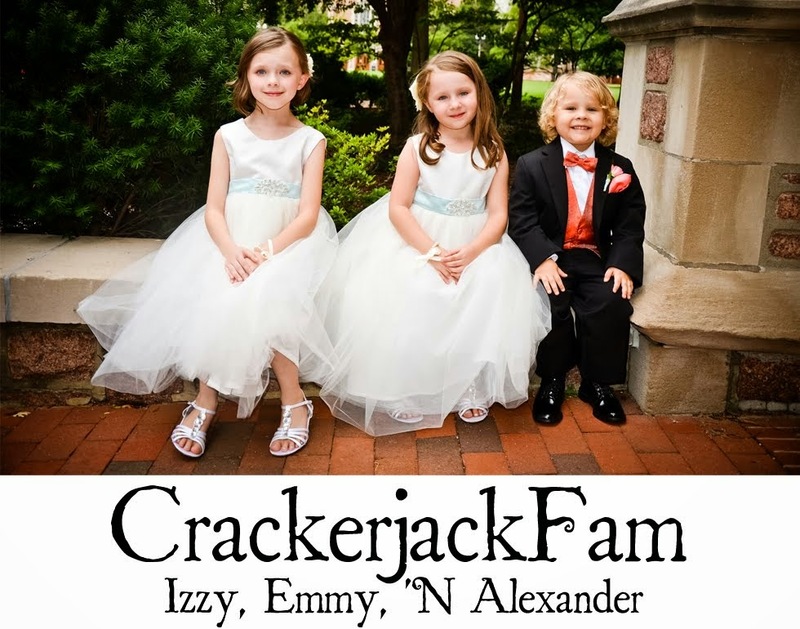 We are celebrating by teaming up with General Mills and MyBlogSpark. 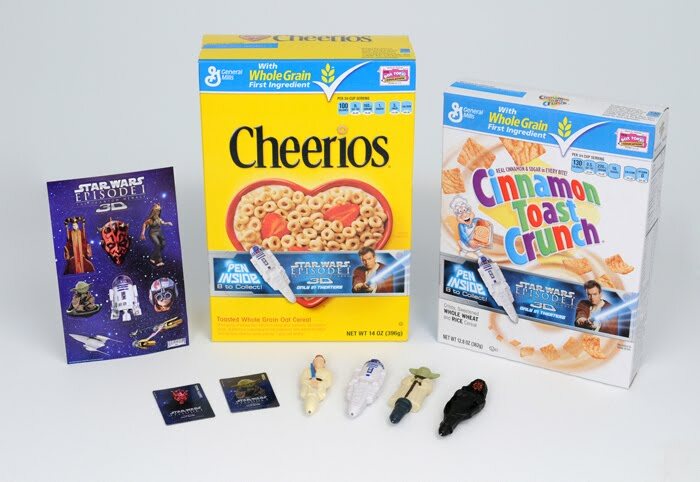 Right now, General Mills cereal includes a special collectors pen, featuring our favorite Star Wars characters. Anakin Skywalker, Obi Wan Kenobi, Queen Amidala, Yoda, R2D2, C3PO, Jar Jar Binks and Darth Maul! Big G cereals include Toast Crunch® (12.8 oz. ), Lucky Charms®(11.5 oz. ), Reese’s® Puffs (13 oz. ), Cheerios® (14 oz. ), and Cookie Crisp® (11.25 oz). I have one prize pack to offer up to one lucky reader. To enter this giveaway, please leave the following info in your comment. What is your favorite Big G Cereal? And what is your favorite Star Wars character? Winner will be chosen via random dot org. Giveaway entries will be accepted until February 29th, 2012. Winner will be announced March 1st! 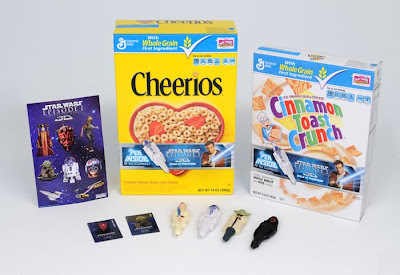 I like Golden Grahams and Luke Skywalker! OOh, I love Golden Grahams too, yummy! Draven is a pretty big fan of "Obi One" and "The Nice Windu" (what he calls them, lol) but John's heart belongs to Darth Vader, lol! I like cheerios and chewbacca! We even taught our dog to make a "wookie" sound when we say Chewbacca!! Beautiful Photos and awesome photography..........Really I Love This Post.....Very Nice post ..Thanks For Sharing..